Christ has suffered for us - and with us. European Treasurers Meeting in Krakow. While it is true that the Society of Jesus in Europe is aging and that vocations are scarce, this does not stop the treasurers of each province from doing their best to care for our elderly. The situation is different in every area of Europe and the Middle East: some countries such as Spain have numerous infirmaries and more than 400 Jesuits of the 950 members of the province are over 80 years of age; in others like Lithuania there are some rooms reserved for the elderly since only 5 of the 34 Jesuits of the province are over 80 years of age. These discussions were the main focus of the second meeting of treasurers of the European Conference of Provincials in Krakow. The approach wanted to be as holistic as possible including aspects of quality of life, pensions, living environment and religious, among others. 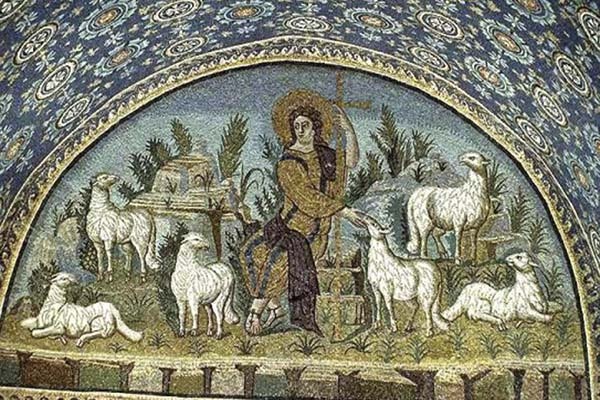 The Jesuits have funds for the care of the elderly and health, but we need to encourage the development of campaigns of donation, fundraising and help to care for our sick and elderly. Before the meeting, Fr. Jaime Badiola, Spanish treasurer in the Steering Committee, prepared a useful actual analysis of the situation in each province and in the whole Conference. The speakers who participated live or by videoconference gave many keys to address the challenges we have in the provinces and regions of the JCEP: Ms Beata Leszczyńska, director in Orpea Poland, explained the topic: How to manage health care business. Br. Luckas Dmowski Provincial Saint John of God Brothers, together with Dr. Alfonso Cruz, from Spain and Fr. Clement Nguyen SJ, from France, both specialists in health care, participated in a panel about How to take care of our elderly, sharing important criteria and ideas for a adequate care of the elderly (regarding to personal care, design of spaces, management, residence size, etc. and also physical, psychological and spiritual aspects). With the study of the situation in each province the treasurers declared their desire to continue with an actual analysis that would best help each of our units. Thanks to the presence of the General Treasurer of the Society, Fr. Thomas McClain, and his team, Fr. Antonio Delfao and Fr. Michel N'Tangu, the meeting was in contact with the world Society and the central directives from Rome. At the closing Mass the President of the Conference, Fr Franck Janin, stressed the importance of solidarity between the provinces in the light of the new Universal Apostolic Preferences of the Society of Jesus The participants in the meeting stayed at the Ignatianum College and the Writers House. The logistics prepared and the welcoming given by the Southern Polish Province was outstanding. We have to thank both communities and to make a special mention to the Provincial, Fr. Jakub Kolacz, and to the treasurer, Fr. Artur Demkowicz, for the care of the group and the reception at the curia in Krakow. Finally, to deepen the experience the treasurers they also visited the Wieliczka salt mines. Fantastic. On July 31, 2018, the Ukrainian District was formally incorporated into the Southern Poland Province and became an integral part of it. This was part of the restructuring process setting out new boundaries for the Society's Province in this part of Europe. Several Jesuits from PME have been working in Ukraine for years, but this new reality will provide more impetus for cooperation in the field of pastoral ministry. 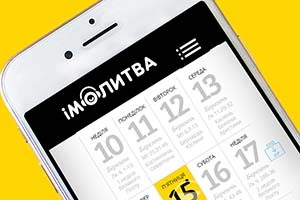 Seeing the success of Pray As You Go had in many countries, including Poland since 2011, the next logical step was to develop the Ukrainian version, iMolytva. In autumn 2018, plans to launch the project started taking shape thanks to Fr. Віталій Осмоловський (Vitaliy Osmolovskyy) sj. It was only natural to build on the experience and achievements of Modlitwa w drodze (the Polish version of Pray As You Go). The project is the fruit of inter-provincial cooperation. Thanks to a dedicated team, it offers audio clips, texts for reflection and much more. Since Ash Wednesday, iMolytva is available on www.imolytva.org in both desktop and mobile versions. Those looking for an application will have to wait a couple of months. Work has already started but there remains some technical glitches to solve before the application is fully functional. In the meantime, we are happy to share with you the fruit of our collaboration and encourage you to spread the message. 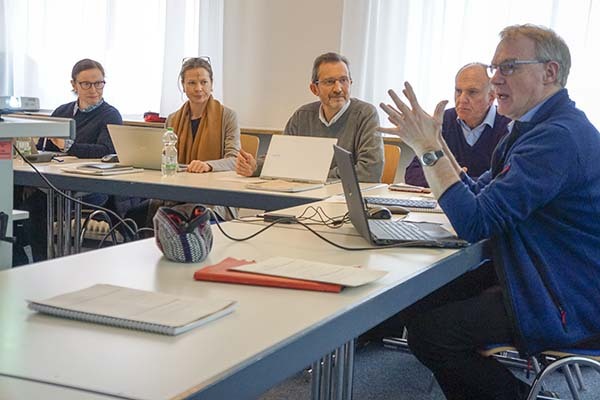 The humanitarian crisis in Venezuela, international disaster relief and Child Safeguarding were top of the agenda for the Xavier Network Directors when they met in Nuremberg last week. 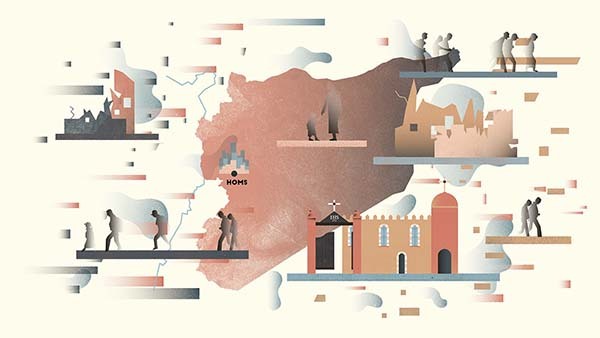 Founded in 2004, the Xavier Network is an international mission and development partnership between 13 Jesuit organisations united in their commitment to global justice. All are passionate in their belief that they can achieve more together than by working separately. In total, the members support pastoral, development and aid projects in 87 countries working in partnership with local, mainly Jesuit partners. 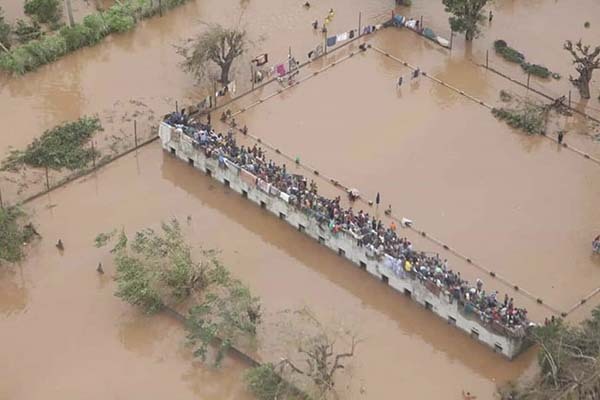 The Network has four Working Groups which focus on Emergencies, Volunteers, International Programming and Advocacy. In addition, members are committed to three strategic partners: Fe y Alegria in Africa, Jesuit Refugee Service, and the Amazonian project with the CPAL conference. Three main priorities were discussed at the Nuremberg meeting: (1) The Safeguarding of Children: we approved a policy and protocol for the implementation of procedures for the protection and promotion of a culture of Safeguarding both in our own organisations and in those of our international partners. Emer Kerrigan from the Jesuit Missions office in Ireland led the discussion and was warmly commended on her skilful steering of the discussion. (2) Advocating for a more just world: Xavier Network members share a commitment to advocacy not least in response to the recently published Universal Apostolic Preferences. We discussed specific examples of recent advocacy including work led by the Hakimani centre in Nairobi and Fr Joerg Alt from the German mission office on Tax Justice. We also discussed how we work together with GIAN (the Global Ignatian Advocacy Network) and were joined by Fr Xavier Jeyaraj from the Social Justice and Ecology Desk in Rome. (3) Reviewing our response to recent humanitarian emergencies (mainly in Asia), and how we might respond to the crisis in Venezuela. Fr Tom Smolich, International Director of JRS talked to us about the potential synergies between the Xavier Network and Jesuit Refugee Service International. Fr Klaus Vathroder SJ, Coordinator of the Xavier Network said: “The Xavier Network is a thriving example of Jesuit networking. 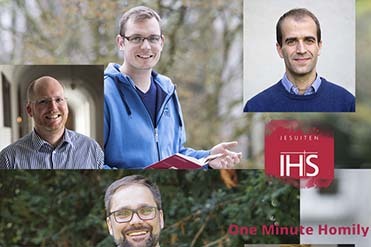 Our meeting in Nuremberg was historic because of the commitments we made to building a safeguarding culture for children at home and overseas, advocating for justice on several fronts, and working together with global Jesuit partners to strengthen our impact.” While originally conceived as a European Network of Mission Offices and Jesuit NGOs, the Xavier Network now includes members from Canada and Australia. In Nuremberg, we also welcomed several invited guests from the United States, South Korea and the Claver Network (Development offices of CPAL) in South America. 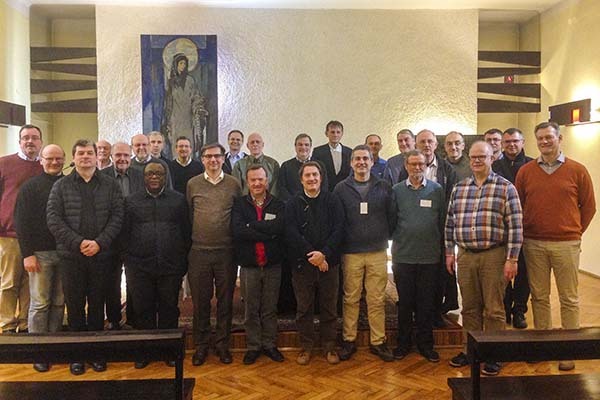 Our aim continues to be to build alliances with like-minded partners across the Jesuit world so that we can strengthen our networking and increase the impact and reach of our work.